Genevieve Huneault of Social Root Consulting summarizes and reflects on the key sustainable tourism trends, developments and challenges in 2019, according to a global panel of travel and sustainability changemakers. 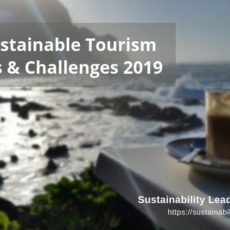 Key sustainable tourism trends and challenges likely to affect the work of destination developers and managers in 2019, according to our expert panel of tourism and sustainability professionals. 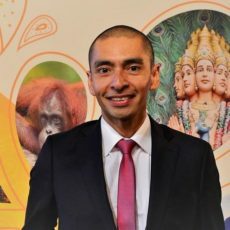 Leading sustainable tourism professionals share advice on how to develop a destination sustainability management strategy: top-down, bottom-up, or both? Find out in this post. Tourism industry developoments likely to affect travel sustainabilitys in 2018, according to leading tourism and sustainability ressearchers, managers and developers. 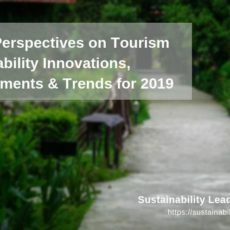 Snapshot of expert views on the main sustainability topics and trends likely to influence the work of tourism professionals in 2018, including overtourism, climate change, animal welfare, plastic waste.